Solar Impulse completes second leg of cross country journey | West Coast Solar, Inc.
Reuters reports that the Solar Impulse, a plane powered entirely by energy generated from photovoltaic panels, has completed the second leg of a 4-part trip across the United States. The first segment of the trip took the plane from San Francisco to Phoenix in early May, and the second leg went from Phoenix to Dallas. The plane is being piloted by two former members of the Swiss Air Force, Bertrand Piccard and Andre Borschberg, as part of a project they began with contributions from many different companies that are trying to test products while promoting clean energy technology. The budget of the project is approximately $112 million. The aircraft has the wingspan of a Boeing 747, most of which is covered in solar panels which allow it to fly at very low speeds of about 43 miles per hour. The plane has an enormous battery pack that stores energy during the day, making it possible to fly at night when the sun isn’t shining. From Dallas, the plane will continue to St. Louis for its third leg, then finishing the final part of the journey in late June or early July by flying to Washington, D.C. 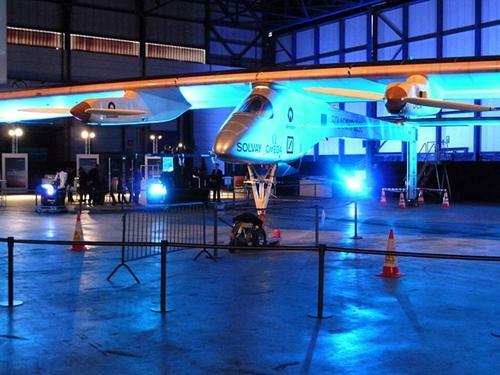 The Solar Impulse is intended as a test craft for a more advanced vehicle that will fly around the world sometime in 2015. It’s exciting to see solar power put to use in a variety of applications. We know for a fact that it will reduce pollution, lower electricity costs and create a sustainable energy source for homes and businesses throughout the Bay Area, so hopefully the aviation sector can realize these benefits as well. Contact West Coast Solar today to find out how Northern California solar power is helping people on the ground.